Board evaluation is a topic that yields mixed sentiments from directors, who often praise the concept but in practice do very little to drive a robust process that would result in meaningful changes. Accordingly, board evaluations tend to produce only incremental change that fails to keep pace with their companies’ evolving strategies or with changing investor expectations. In survey after survey, directors have expressed their dissatisfaction with board evaluation. For instance, Stanford University’s Rock Center survey found that “satisfaction levels with board evaluations are modest” and PwC’s 2016 Annual Directors Survey found that only about half of directors (49 per cent) say their board actually made changes as a result of their evaluation. In February 2017, the Council of Experts Concerning the Follow-up of Japan’s Corporate Governance Code issued guidance noting that, beginning this spring, companies will be expected to evaluate their boards with “primary importance…placed on an honest evaluation of the board by each board member”. Earlier, in January, the Securities and Exchange Board of India issued its long-awaited guidance on board evaluations, which have been mandatory for Indian companies since 2013. By comparison, the UK’s Corporate Governance Code has, since 2010, called for externally facilitated board evaluations every three years, while France’s AFEP-MEDEF code began making similar recommendations in 2003. Also in January 2017, the Investor Stewardship Group, a coalition of more than 25 global institutional investors, launched its Framework for US Stewardship and Governance calling for boards to have a “regular and robust evaluation process”. That statement built on the earlier work of a group of business leaders and investors – led by Jamie Dimon and Warren Buffett and launched in July 2016 – called the Common Sense Principles for Corporate Governance. The Principles recommended that “boards should have a robust process to evaluate themselves on a regular basis”. In 2015, ISS and Glass Lewis, the two-leading proxy advisory firms, had defined a ‘robust’ board evaluation process in the US as one that includes external evaluations and individual director assessments. When we speak with the large, global institutional investors who are shaping the changes to corporate governance internationally, they are very clear that there are three things a board needs to do to be effective. The first is to be involved in the development of strategy and monitor its execution, the second is to ensure an orderly CEO succession and understand bench strength outside the C-suite and the third is to ensure the board’s own composition is regularly refreshed and designed to oversee the company’s strategy over the longer term. What does a robust board evaluation look like? is being done and, periodically, bringing in objective third party evaluators. In the UK and France, which have been in evaluation mode a lot longer, the challenge may simply be to keep the process fresh and meaningful. There are many ways to conduct board evaluations, such as 360-degree interviews and surveys with management and the board (and even external stakeholders). The purpose of this article is not to focus on the mechanics but on the substance of evaluations. If a board evaluation is to be a value adding experience, rather than a tick-the-box compliance activity, we believe there are certain elements that need to be present. 1. An assessment of whether directors feel fully involved in the development of strategy and if there is genuine alignment around the strategy. 2. A review of whether directors feel comfortable that the board is doing enough to ensure an effective CEO succession in both the short term (emergency succession) and longer term. Do they also have a good grasp of the bench strength beyond the C-suite? 3. An honest appraisal of the board’s strengths and areas for development when it comes to people (board leadership, composition and culture) as well as process. 4. Benchmarking of the board against a range of reliable outside indicators, such as peer and best-in-class companies, governance best practices and investor perspectives. 5. Evaluation of individual director performance and contribution to the board. 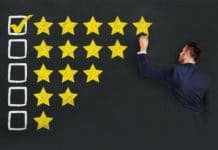 Board evaluations (internal or external) sometimes fail to have the desired impact because they are not robust enough, the process doesn’t dive deep enough into the ‘issues behind the issues’ and they fail to consider emerging trends in corporate governance and changing investor expectations. The following section explores these five elements of an effective evaluation in more detail. Having conducted dozens of board evaluations around the world, we sometimes find that board directors are not fully aligned on the company’s strategy nor adequately engaged in the strategy development process. 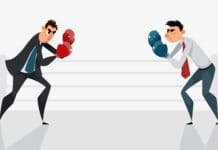 On occasion, we find that within a board some directors may articulate alternate versions of what the strategy says – sometimes with entirely different areas of competitive differentiation. This misalignment often stems from the lack of time devoted to substantive discussion of the strategy at the board level or the board being engaged in the strategy development process at too late a stage; one annual board strategy retreat is rarely sufficient. Board leaders can use a board self-evaluation to assess director satisfaction with and understanding of the strategy. The remedy is often for management to understand that strategy is a process, not an event. Directors are more likely to understand a strategy that is regularly used to provide context for board discussions and decisions. Board leaders (the CEO, chair, lead director) need to spend time with each individual director outside the formal board meetings to ensure they are aligned with the strategy. The second most likely area of concern in our board evaluations is related to CEO succession planning. Again, this issue often presents itself as a complaint about the lack of time devoted to board-level discussion or the lack of interaction between the board and potential successors, particularly outside the setting of the formal board meeting. If the only time a director sees an internal candidate is in a boardroom presentation, the range of skills that are assessed will be too narrow. CEO succession needs to start shortly after a new CEO is appointed. It should be a naturally occurring process, mandated by the board. Boards should not be afraid to undertake regular scans of the market to understand both the internal and external options. Board retreats should take place in locations where the board can meet with management outside the head office, as well as with customers and other stakeholders. Board meetings and dinners should provide a range of formal and informal settings for getting to know senior management. While the board leadership can and should assess satisfaction with the succession planning process through the board’s self-evaluation, they should consider engaging a third party to provide an objective assessment of internal talent and to explore external hiring opportunities. Boards are usually good at critiquing their processes (the quality and length of board books, how information flows, the usefulness of various committees and the appropriate balance of board discussion and presentation). Directors often serve on several boards and can share best practices they have seen. However, based on our own experience, boards are less robust when it comes to tackling issues, such as who should lead the board, how board composition should change to match an evolving strategy and what sort of behaviour is acceptable and what is not. 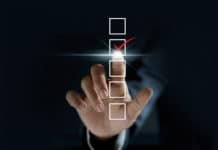 Board leadership succession – who should chair the board and each committee – is typically not well planned far enough in advance. Many boards don’t think ahead to rotate directors through key committees before asking them to chair one. Board composition is less often planned over the long term to bring in the talent required by key committees until a specific vacancy occurs. The board’s own competency matrix is often developed with the corporate secretary and can suffer from a form of ‘grade inflation’. This is an area where a board should focus on improving its own processes. In a world of activist investors, business media and NGOs who can conduct very robust analyses of your board leadership and composition, being prepared to do the same is common sense (and good self-defence). Even good boards often lack an outside-in view of how the board is perceived by investors and other stakeholders. 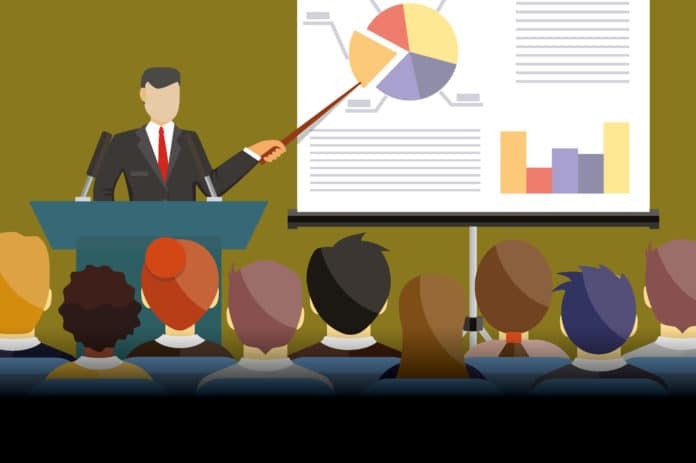 The general counsel, corporate secretary or investor relations professional should take time to educate the board about what their investors expect. Engaging with investors directly can provide powerful feedback. Looking at the composition and board structure of peer and best-in-class companies can also help, and understanding the latest thinking on governance best practices is important. Gaining an external point of view on best (and poor) governance practices from someone who has engaged with many boards can be of particular value. Newer corporate governance codes in places, such as India, require individual director assessment, but it is easier to mandate than to implement. Many directors shy away from giving or receiving feedback from their peers. Some board leaders are reluctant to give feedback to directors whose behaviour (interrupting, being unprepared, talking too much or too little) is bothering a number of their colleagues. The importance of preserving a ‘collegial atmosphere’ often masks some fairly un-collegial behaviour. Beyond the behavioural issues, the contribution of each director should be assessed to understand if their skills and experience are still adding value to the board’s important discussions. Are they still current? Is the rationale for why they were brought onto the board still applicable? Many boards ask an outsider to conduct the individual director assessment of the board as it can be more objective and is usually done in a confidential and robust manner. There are many approaches for assessing directors and they are usually seen as developmental and positive. We have used the insights and findings from our Global Board Culture Survey to assess directors against the five behaviours that can move a board from good to great performance. Boards have many choices when it comes to both self- and external evaluation. Once you have picked the right robust evaluation approach for your board you may want to consider disclosing that you conducted such an exercise to get the credit from your investors (in certain jurisdictions disclosure is required). The more you can demonstrate the robustness of the process, the more credit you will receive from investors. Investors think that robust board evaluation will prove a better means of refreshing the board than age or tenure limits. It is increasingly important that boards show they are conducting a robust evaluation and tackle the issues their investors care about. 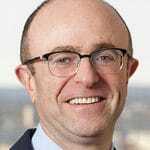 Anthony Goodman, based in Boston, is a member of the firm’s Board and CEO Advisory Group. He has significant experience working with board directors and their stakeholders, across sectors in the US and Europe. Anthony’s focus is on improving board performance. Previously, Anthony was a partner at Tapestry Networks for twelve years, where he created and led networks of board directors. Anthony is a member of the ICGN and co-founded the Shareholder-Director Exchange (SDX). 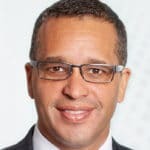 Rusty O’Kelley is a Managing Director based in the firm’s New York office and is the Global Head of the Board Consulting and Effectiveness Practice. He advises corporate boards and CEOs in the areas of corporate governance (US and global), board succession planning and refreshment, board assessments and CEO succession planning. He works across industries. In 2016, Rusty was named as one most influential people in the boardroom as a member of the NACD Directorship 100.